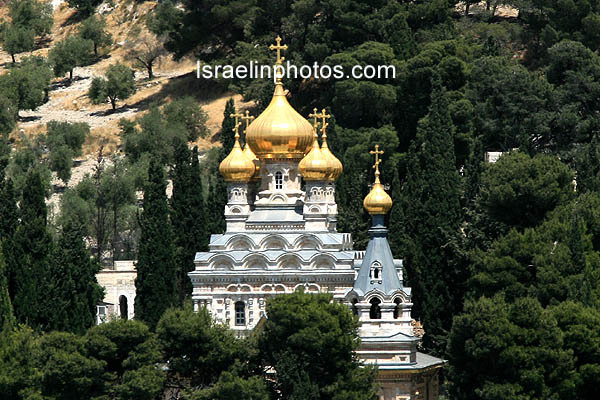 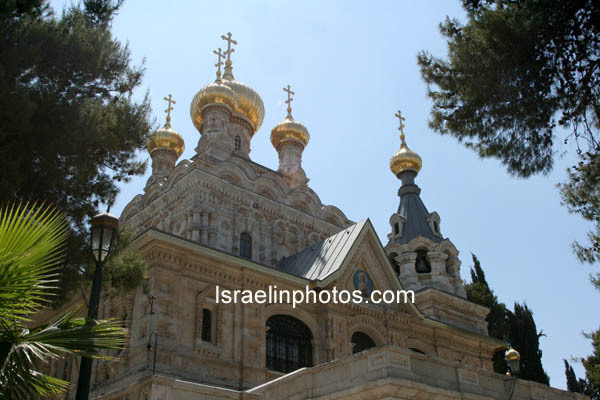 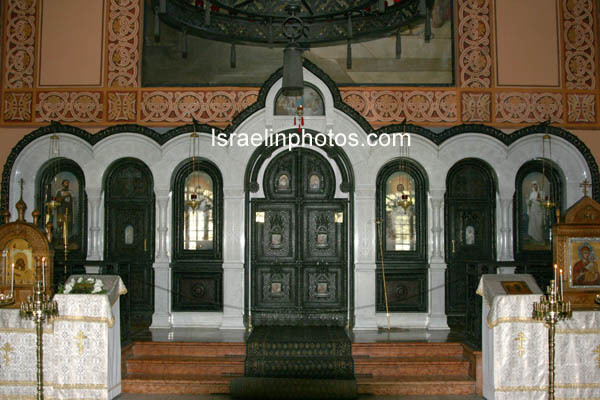 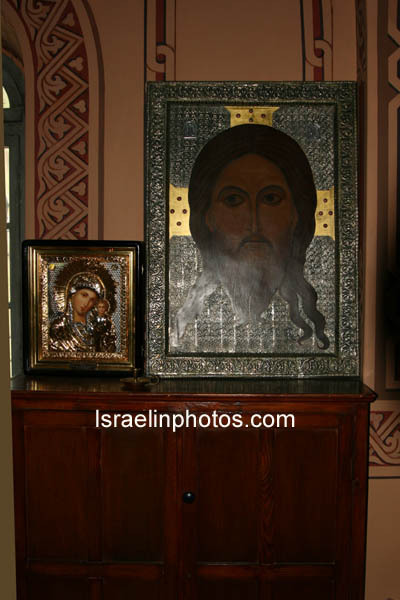 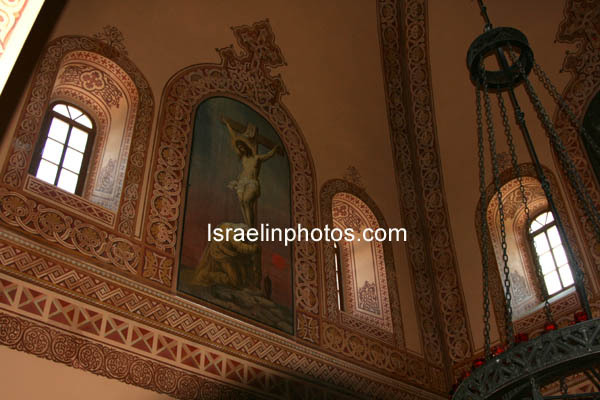 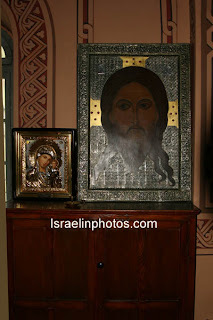 Situated on the slope of the Mount of Olives in the Garden of Gethsemane. It was built as a memorial to Empress Maria Alexandrovna by her son the Russian Czar Alexander III and his brothers. 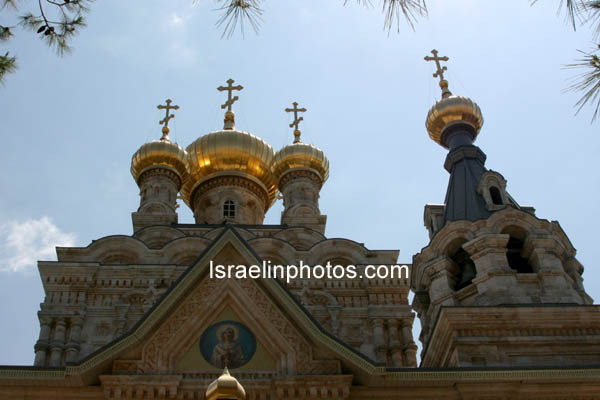 Built in the Muscovite style with golden onion domes or cupolas. 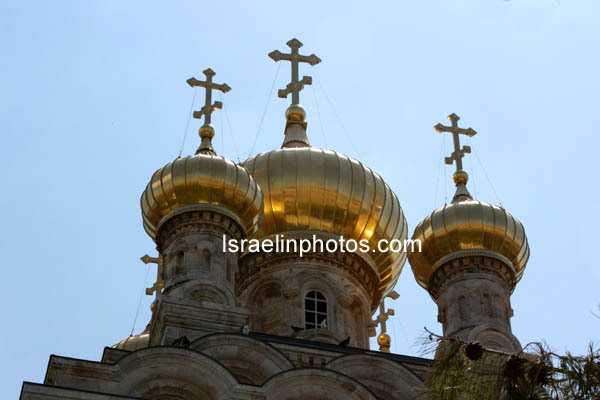 Each golden dome is surmounted by a cross ending in arrow-like points, and a diagonal bar, which symbolizes the Resurrection. 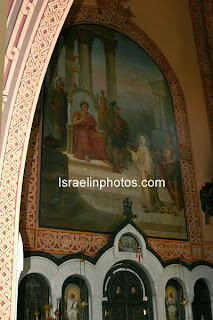 Grand-Duke Sergei Alexandrovich, brother of Alexander III, and his wife Grand-Duchess Elizabeth (Princess Elizabeth of Hesse-Darmstadt), grand-daughter of Queen Victoria and sister of the last Empress of Russia, presided at the consecration of the church of Saint Mary Magdalene in 1888 as representatives of the Emperor. 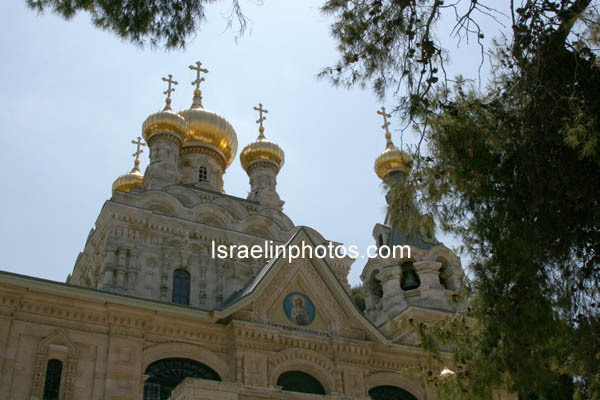 Grand-Duchess Elizabeth, widowed by an assassin's attack on her husband in 1905, became a nun and founded a convent devoted to nursing and charitable work in Moscow. After the revolution, in 1918, the Grand-Duchess together with her companion Sister Barbara and several members of the Russian Imperial Family were thrown into a mine shaft by the Bolsheviks and left to die. 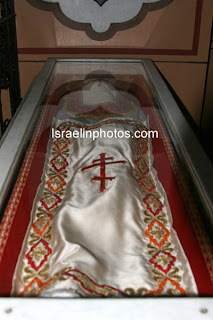 Her remains and those of Sister Barbara eventually were brought to Jerusalem. 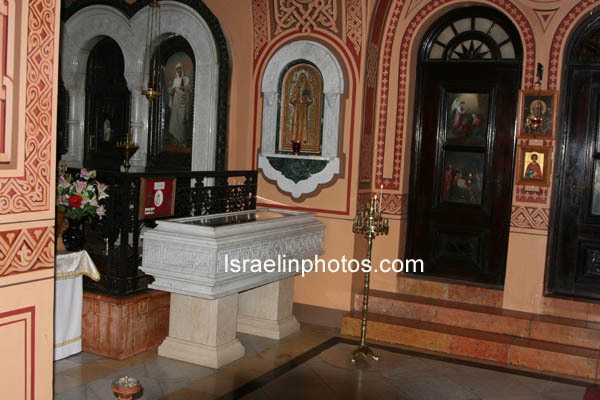 In 1920, they were laid to rest, in the Saint Mary Magdalene Church. 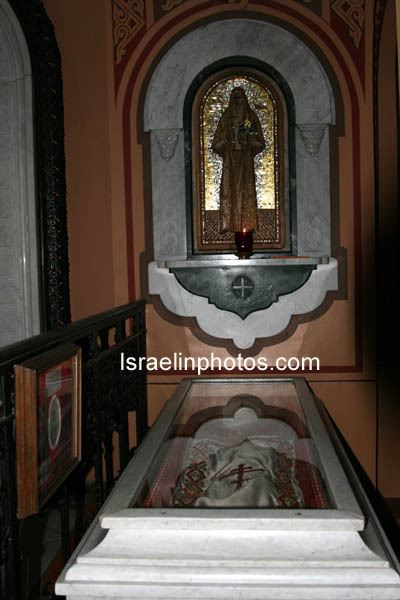 Grand-Duchess Elizabeth and her companion Sister Barbara were canonized as Martyr Saints in 1981 and at this time their relics were moved into the main section of the church where they rest today in marble sarcophagi. 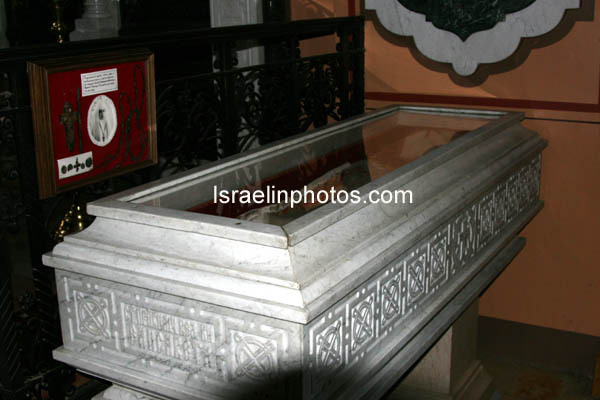 Grand-Duchess Elizabeth rests today in a marble sarcophagus.